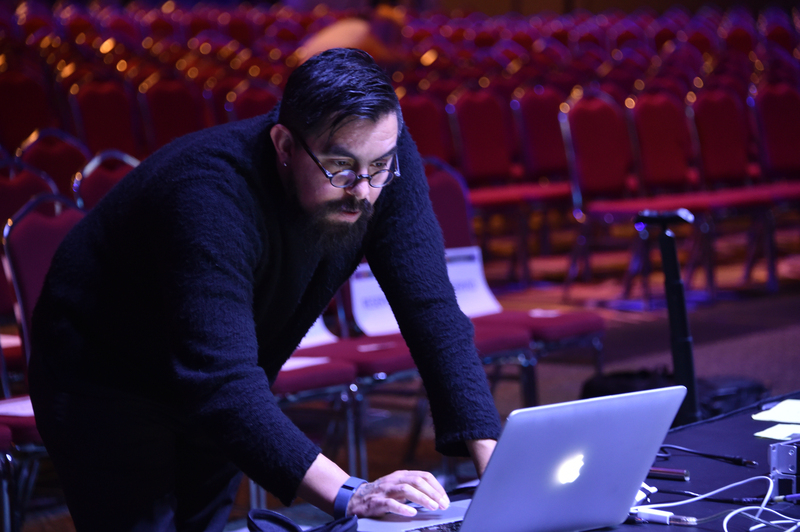 For this mini-spotlight, we sat down with visual artist and USITT 2016 Keynote Speaker, Tupac Martir, at USITT 2018. 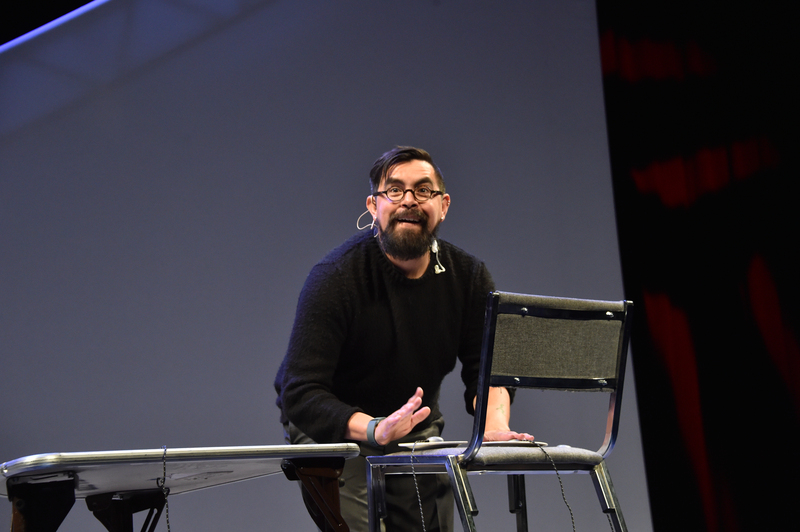 With us, he shared his biggest influences, failures that turned to successes, and why he calls USITT home. Who have your biggest influences been throughout your monumental career? So, on the lighting side, Roy Bennett is obviously a massive influence on me. Paul Normandale, Andy Watson, Oli Metcalfe, Ann Hadley. But then Robert Lepage is a massive inspiration in terms of the way he works. The original idea of Cirque du Soleil, how he came through. But then you’ve got the other spectrum — Salvador Dali. It just goes on and on and on. 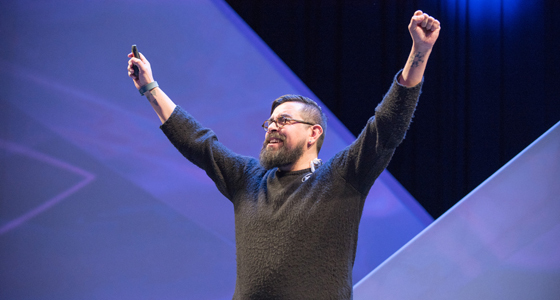 I can start talking about game designers and, you know, it can get here. 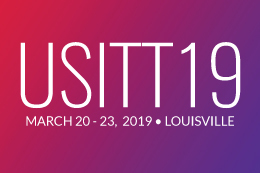 You’ve designed everything from lighting for Coachella to fashion shows all around the world, what brings you back to USITT? What advice do you have for the new generation breaking into the industry? Fail, over and over again. It’s true, I mean, I was having a conversation earlier and someone said, “How do you do what you do?” I said, “First of all — and I’m stealing this from Guillermo Del Toro — I’m Mexican, this is where we get all the crazy ideas. But second is, I am not scared of failing.” We do a lot of prototyping, we do a lot of R&D in the studio, knowing that we’re going to fail. Obviously, we don’t go out for failing but we know that chances are we’re not going to hit it on the first time, it’s going to take five, 10 times to get it right, and then once we get it right we don’t even know what to do with it. It just goes into the pile of things that we know how to do or we’ve learned about it and then we go at it whenever it’s needed. So, failing leads to success? It’s that thing of failing is not a bad thing, and I was saying “While you’re in school, go for it.” Because the worst thing that can happen is — and I’m almost positive it’ll never happen — you fail and they give you a bad grade, but more than likely your professor is going to see everything that’s gone into it and they’re not going to fail you, they’re actually going to applaud the fact that you have the guts to try something completely different. That’s what I do. I mean, God knows that I failed miserably every single day of my life. But it’s a stepping stone. It’s always a stepping stone. It’s knowing that it’s going to fail, fail, fail, and then one day it’s going to work, and when it works you go “Great, now we know how it works.” Then you can even apply it for shows.